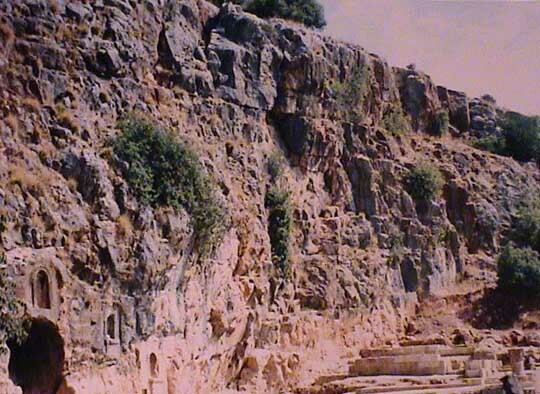 Pictures of Caesarea Philippi and an explanation of the theological significance of the huge rock there that Christ compared to Peter, the real rock. Understand the problem is the first step toward the solution. This article seeks to get past the "either Christ or Peter" objection of Protestants and around some natural Protestant prejudice against the true meaning of the keys. It starts with the Old Testament and explains who is the "master of the palace" and thereby the meaning of the keys, and only after that does it go into the subject of the Papacy. By explaining the relationship between King Hezekiah and his chief minister Eliakim in Old Testament first, the ground work is laid for the proper understanding of the relationship between Christ and St. Peter. Peter and Paul and Galatians = Dissent ? Saint Paul rebukes Saint Peter in Galatians chapter 2. However, this does not justify dissenting from the successor of Saint Peter. How to explain that the Catholic way is the Most Direct way to God. Question: Jesus said to call no man “father” so why do Catholics call priests “father” ? The Catholic Church is accused of being the Whore of Babylon, but even this points to Her validity as being the Church that Christ established and is nothing to be frightened by. A Biblical study of what the Book of Revelation teaches about the Whore of Babylon. SACRAMENTS - SAINTS - MISC.